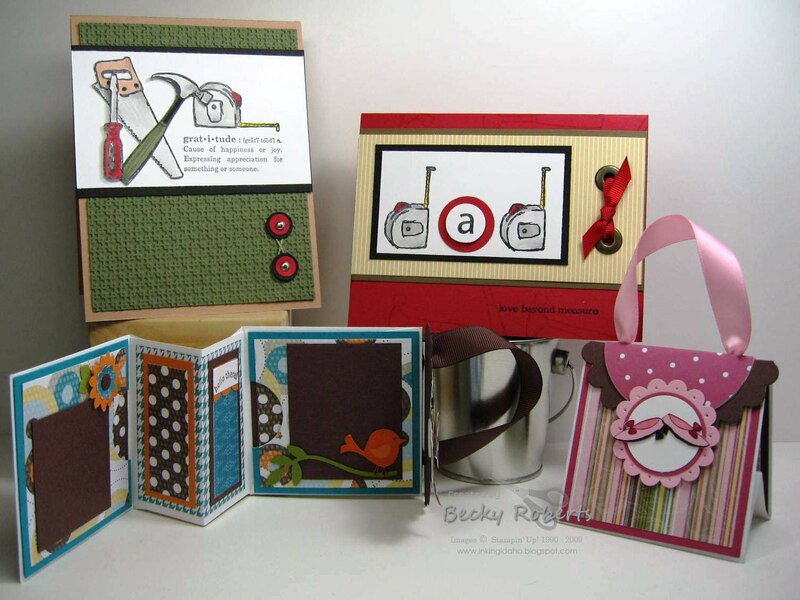 Stamp Clubs this week will make two cards for Father's Day and a mini purse scrapbook in honor of National Scrapbooking Month. 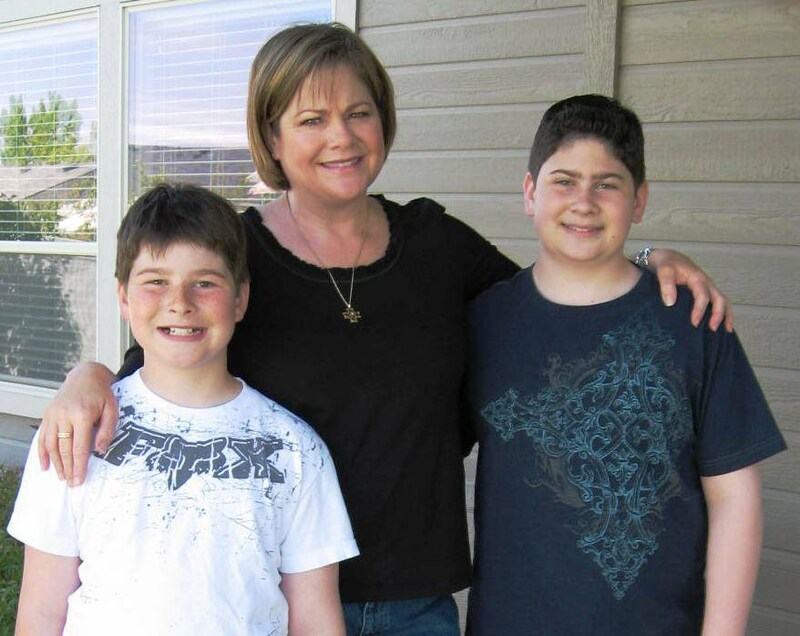 Mother's Day was so wonderful. I'm so fortunate to have such an awesome family! 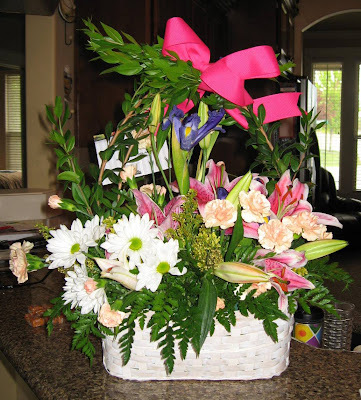 Flowers from my family. I love the look on my boys faces when they bring me flowers! Thank you so much for showing the 'man cards'. They are wonderful! I have bald spots from pulling my hair out trying to think of a great father's day card for my class next week. Hope you don't mind if I use some of your ideas. When I post them, I'll definitely give you the credit! Thanks for the manly card ideas. I LOVE the tape measure 'd'! What a hoot. Oh Becky, these are ADORABLE! Love the DAD card with the tape measure. So stinkin creative, you amaze me! Can't wait to see you in July!! Thanks again for awesome May projects! Oh my gosh, these cards are great! 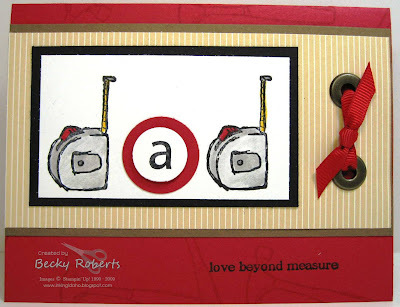 I LOVE that "dad" one----what a great way to use that tape measure stamp!!! LOVE IT!!!!! Becky OMGosh...these cards are awesome and I will definitely being casing these but most Importantly, are you going to do a tutorial on that stinking cute purse!!!!???? Oh man, I hope my card club girls never see your blog. ;) They may feel ripped off. Hee hee! These are adorable, and I just may case that measuring tape card for my own dad this year. LOVE the tape measures as D's! What a creative mind you have Becky! These cards are just awesome. And those two boys of yours are so sweet looking. They love their mama! Love, love, love your Father's Day cards!!! TFS!!! 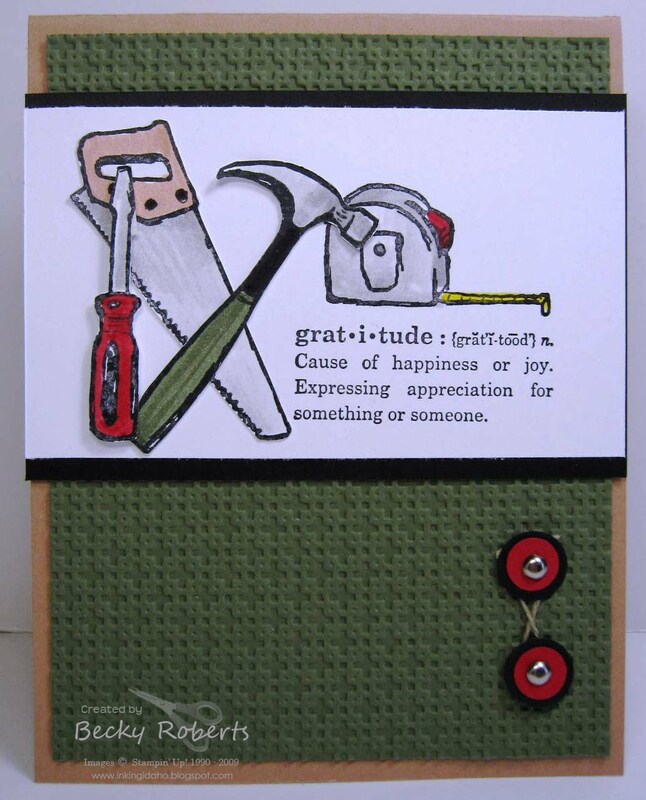 I have been on the fence about ordering the tool set but I will have to now. I LOVE the dad made with the tape measure. Perfect! Such cute projects, as always. I love the DAD card. Who would have thought turning the tape measure on its side. Keep up the beautiful and simple work you do.